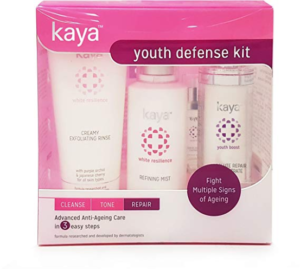 Amazon India is offering Kaya Skin Clinic Youth Defence kit at Rs 830worth Rs 2900 at a discount of 71%. Give your face a beauty treatment with kaya. Hurry! How to buy Kaya Skin Clinic Youth Defence kit at Rs 830?